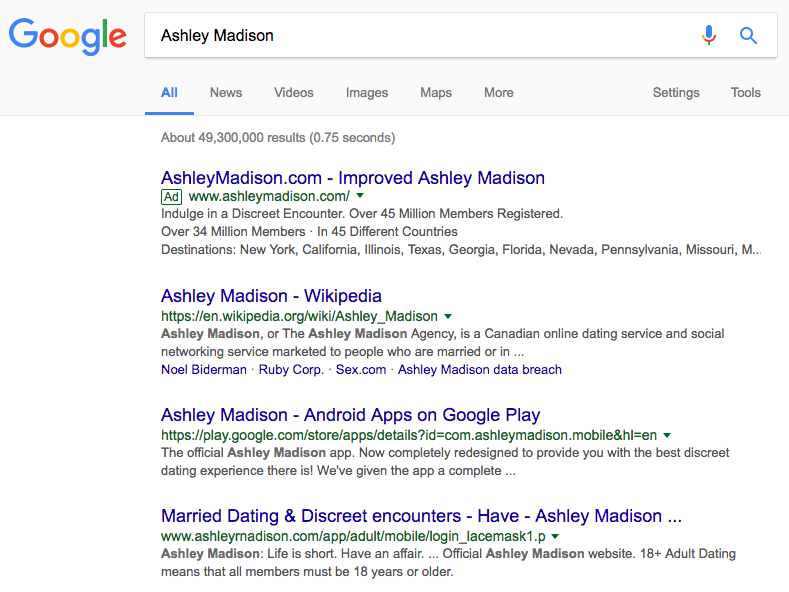 About a month ago, we reported that Ashley Madison may have been penalized by Google in search. We showed how their rankings and traffic plummeted for months, we explained how they weren't even ranking for their own name in Google. Many SEOs looked at the issue but to not rank for your own name is either a huge technical issue by the webmaster or a Google penalty. 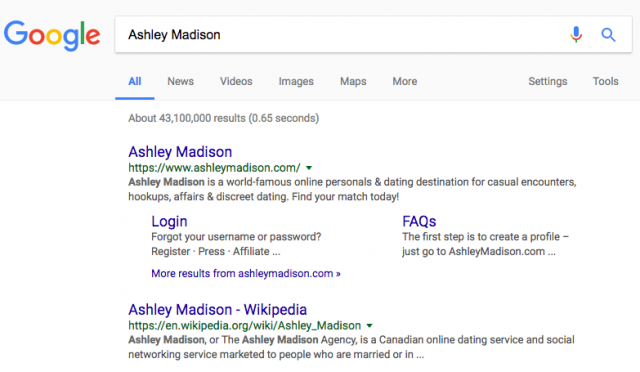 It is still unclear if Google penalized the site or if there were technical issues on the site itself that caused it. But after all the scandal and business issues around the company, this just added a bit more to all of that.